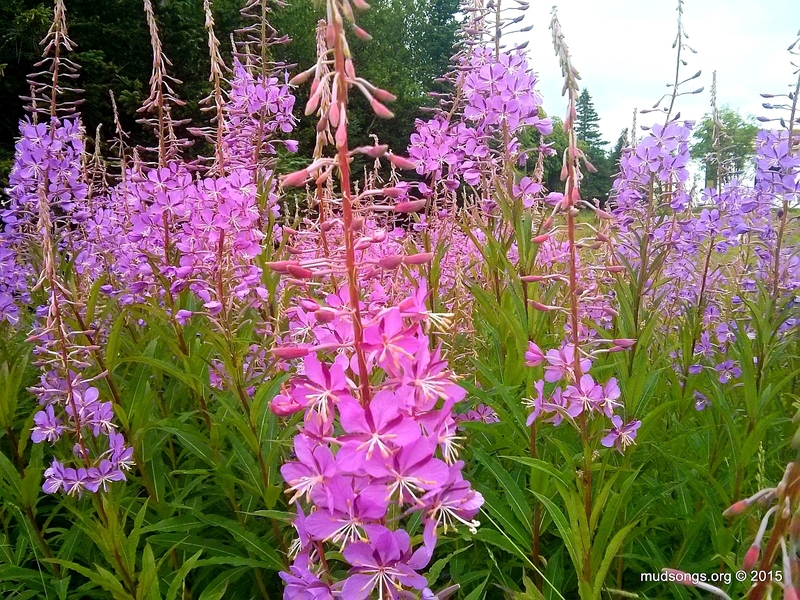 Some parts of the island see Fireweed before others. 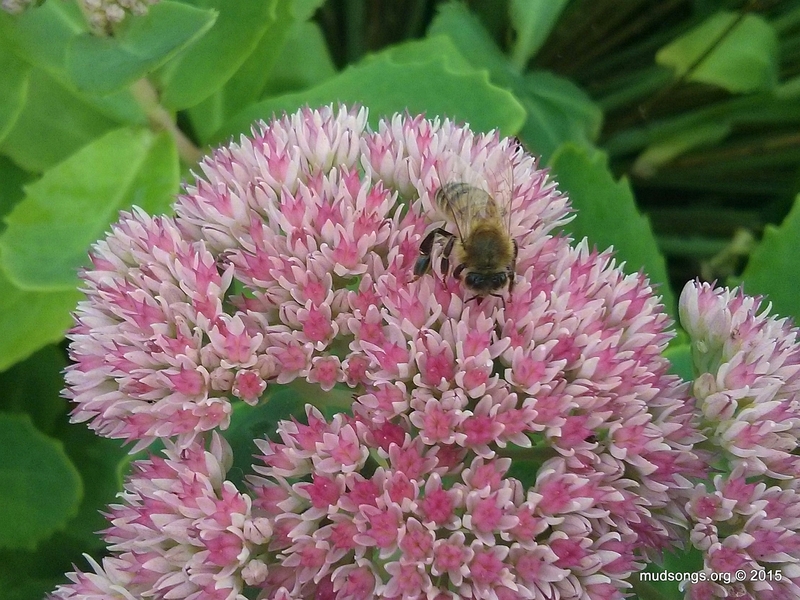 Although it’s an invasive plant, Japanese Knotweed — Fallopia japonica — provides a hit of pollen and nectar for the honey bees well into the fall season. Plants like Japanese Knotweed help delay the nectar dearth that would occur this time of the year as many of the native plants die off. Japanese Knotweed isn’t difficult to spot. The plants grow well over 6 feet (about two metres) and the stock of the plant is hollow and looks like bamboo (the stocks are full of water). 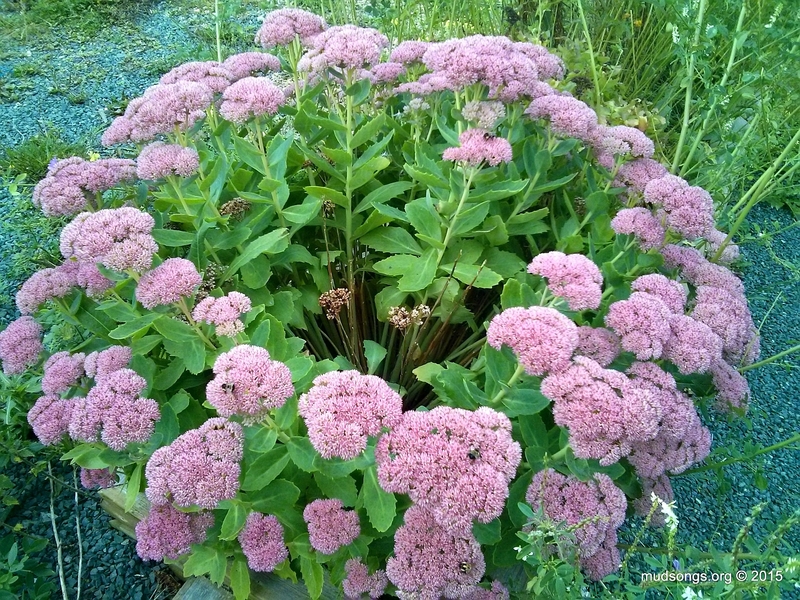 It only takes one plant to take root in some broken soil and it quickly takes over and is nearly impossible eradicate. 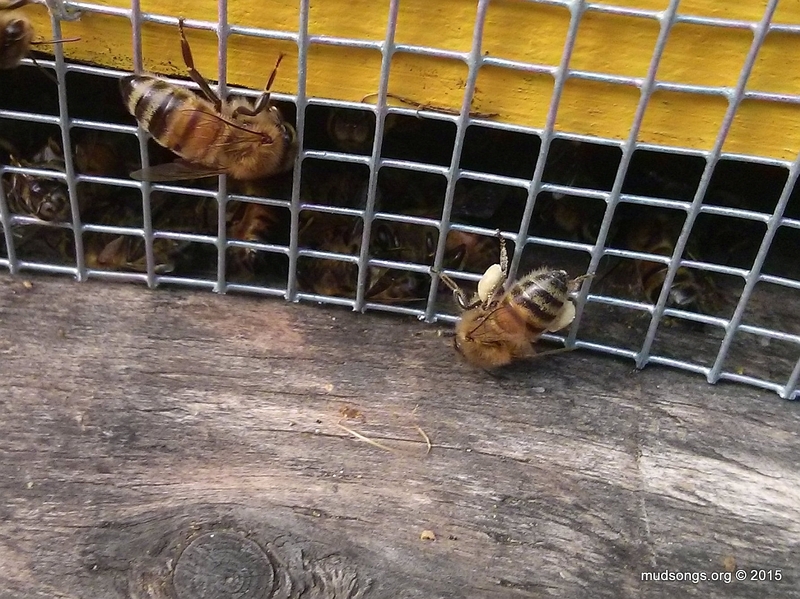 I recently noticed some honey bees with white markings in one of my new hives. 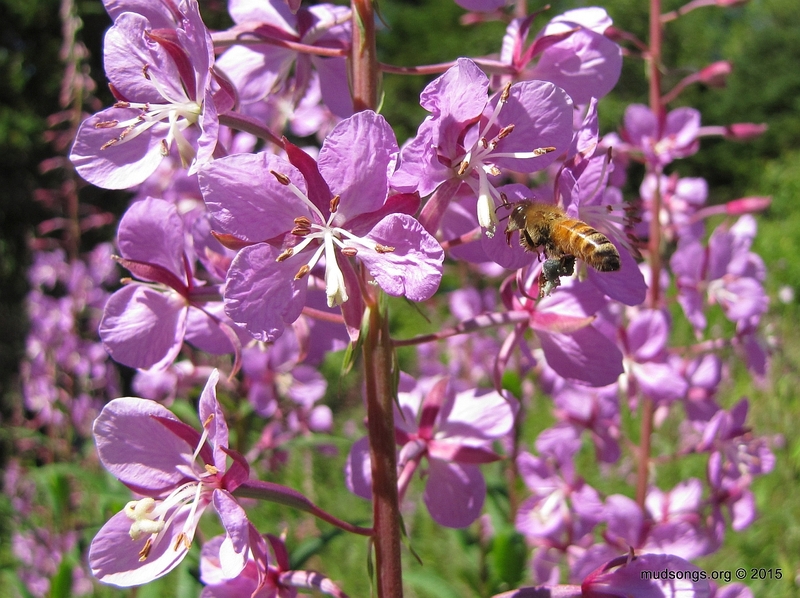 Only a small percentage of the bees have the markings, some more distinctive than others.